S-One has been designed to be practical and easy to use. 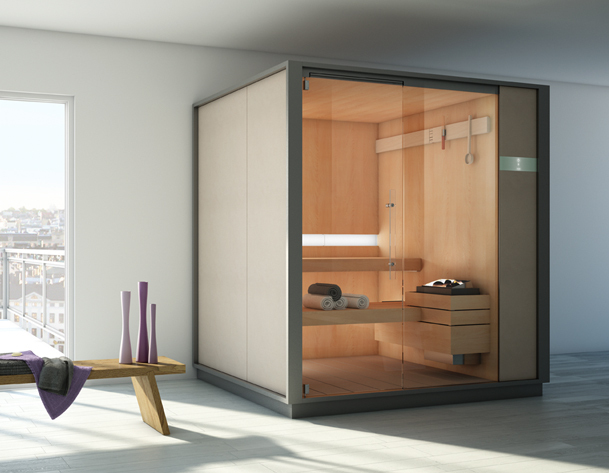 The materials combined in an exclusive design have been conceived for maximum functionality, with a column containing the touch screen controls for the sauna. The play of light created by the rgb led lighting with colour therapy will transport you into another dimension, where peace reigns supreme for an unparalleled sense of physical and mental wellbeing. In line with the Effegibi philosophy all components are high-tech but completely intuitive and user-friendly.